12. Five Flavours Film Festival programme will have long-awaited section dedicated to Asian animation. We announce first titles. We are leaving the realm of quite conservative and market calculated Japanese anime, heading towards unknown territories - full-feature animated films produced in other Asian countries as well as Japanese experimental animations. Chinese cinemas have rich animation tradition dating back to 1940s, then experiencing golden age in 1960s, however in Southeast Asian cinema full-feature animated films are still rare. Animation as a film art form is characterised by lack of visual restraints and different production scheme than live action films. It allows the creators to use their potential to the fullest and let the imagination roam freely. Therefore the works of Asian animators aim to go beyond the limitations of contemporary film language and shape the new ways of visual expression. Despite of how it may appear, it is not a bedtime cartoon, as the level of violence is close to gore genre. The main character, court guardian Dahufa, sets out on the journey to look for a wayward prince. Along the way, Dahufa passes through Peanuttown - distopian land ruled by a despot. 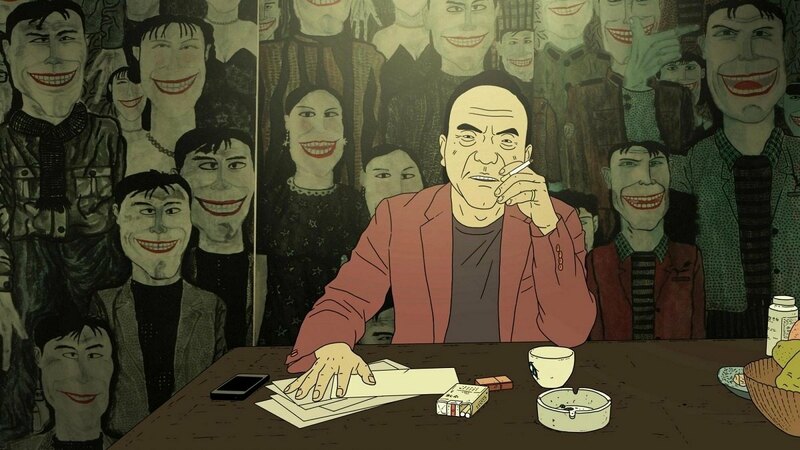 This independent production is progressive as well as draws inspiration from the 1960s Chinese animation and the works produced within Shanghai Animation Film Studio. Young woman visits her parents in Taipei, trying to escape the life in the US and her failed marriage. The flashbacks reveal her past, the process of growing up and identity searching, which are especially complicated in the Taiwanese context. Although the frames seems to be full of sun, which corresponds with the light-hearted and humorous dialogues, however everything in this story is bitter-sweet. Homecoming does not necessary mean finding the lost happiness. Story from the remote suburbs of a southern Chinese metropoly. The life revolves around internet cafe, rundown hotel and several small restaurants. On the deserted streets full of old singboards and closed down shops a group of people starts to chase a bag full of money stolen from a local gangster. Tarantinoesque atmoshpere is completed with the references to contemporary politics. Two best friends from elementary school, lunapark hidden in the forest, mad scientist and extreme body modifications. Sounds like one of Brother's Grimm macabre fairytales, but this time in Japanese translation, so instead of bad wolf we have vicious cyborgs. Paper-cut animation is so well-done and expressive it proves that the Japanese animator's technique really lives up to his uninhibited imagination.